It is the goal of the Murray County Fire Department's Training Division to provide training programs and opportunities that will enhance the efficiency of Murray County firefighters. 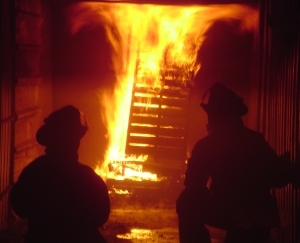 The Fire Department strives to provide the most up-to-date training techniques in order to retain a proactive approach to firefighting. Training is held every Thursday at 7:00 pm at all Murray County fire station locations. View photos of previous training sessions at the Training Center. If you have specific questions about firefighter training, please contact Training Captain C.L. Young at the Training Center at (706) 517-5822.